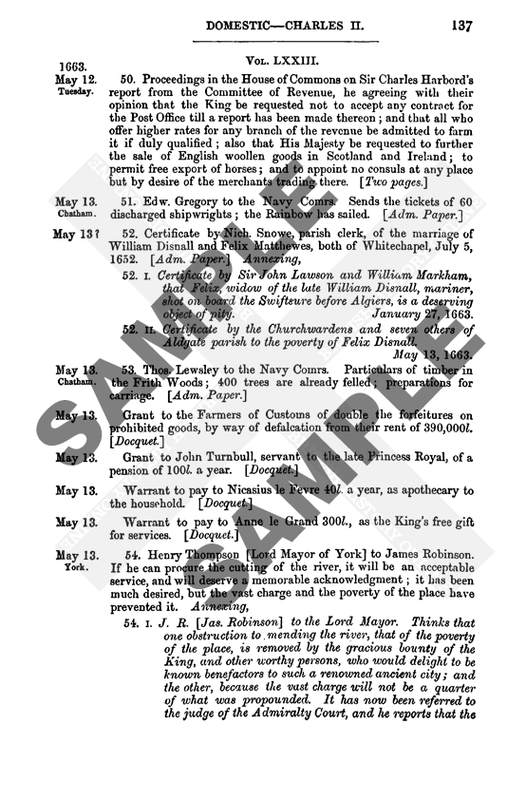 Calendar of State Papers Domestic: Charles II, 1661-2. Originally published by Her Majesty's Stationery Office, London, 1861. This volume has gold page scans. Access these scans with a gold subscription. The content you are trying to access is premium content. Log in or subscribe to view this content. If you think your institution would be interested in an institutional subscription, recommend British History Online to your history librarian. Learn about our sustainability plan and why some of British History Online's content is premium content.